Crafty Garden Mom: WIP Wednesday: OMG I'm Sewing Clothes Again! WIP Wednesday: OMG I'm Sewing Clothes Again! ....and enjoying it! A friend of mine who is an enthusiastic (and wonderful) sewer of clothing, has been encouraging me to try sewing a few articles myself. It's been almost 20 years since I opened those flimsy tissue pattern sheets and laid out fabric to be cut on the lines, eeek! However, I recently saw a very cute girls jumper in Hobby Lobby that gave me pause. I examined that sample very closely, saw it was basically simple seams, but the clincher was the adorable corduroy fabric they'd used. I am a sucker for a corduroy jumper on a little girl in Fall. I figure 20 years of sewing, even if it has been mainly quilts and home dec projects, has still improved my less-than-mediocre tailoring skills back then. So I bought the pattern (Simplicity 5489) and fabric and have set out to make my "come-back" item in the world of non-quilty sewing. In another fit of Crafter's ADD this week, I signed up for the Craftsy online workshop that teaches you how to knit socks. I have wanted to knit a pair of socks for a long time, but those double pointed needles scare the bejeezus out of me. I decided to take the plunge (for $29.99) and order the course. So far I'm up to Lesson 5: Knitting the Toes. But I'm just watching right now, I haven't cast on yet! I did buy some luscious yarn for my first pair of knee socks....I know, ambitious, but it's the course project and my online teacher (Donna Druchunas) says she will walk us through it. What are you working on this week? Link it up on WIP Wednesday over at the fabulous blog, Freshly Pieced. Very cute!! The girl and the jumper! They are both precious! Very nicely done. I, too, envisioned sewing cordoroy fall jumpers, but I had a boy (taught him to say, "thank you, my mom made it") and they don't wear homemade for very long. Super cute! 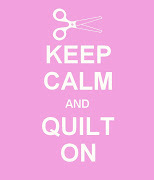 Every time I am tempted to go back to garment sewing I remember that quilts don't have to "fit" the same way clothes do. It looks like your adorable jumper fit wonderfully! HI! I love the Jumper you made for Sam. So cute. I love corduroy jumpers too. I made a couple for my girls when they were little. Maybe a few more, because now they won't look at corduroy. Hmmmm. 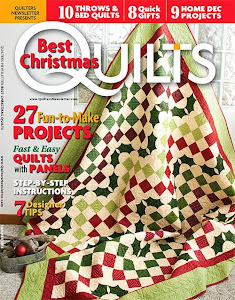 I love the pictures of the quilts too. They are all so beautiful!! Thanks everyone for the kind comments. I find it easier (so far) to sew small-people clothes than it ever was measuring myself and trying to get the right fit. Your little Sam is beautiful! What a sweet smile! I am terrified of sewing clothes! You have got me thinking about giving a jumper a try. My Vanilla and Pumpkin are so tall...they are stuck in that same place where the clothes are too old for a 6 year old and a 4 year old.